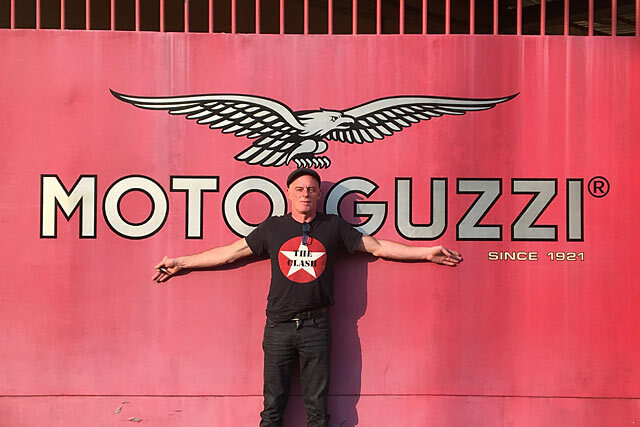 Craig Rodsmith, our favourite Aussie customiser and all-round bloody talented nice guy took a trip from his US shop north of Chicago to visit the home of Moto Guzzi – his manufacturer of choice – in Mandello del Lario, north of Milan. We spoke to him about his Guzzi obsessions, what it’s like to work with the 97-year-old factory and how he sees the custom landscape looking now that manufacturers and customisers seem so friendly. What the latest with you? I’ve been quietly dabbling in another project with the Haas museum and I’ve also been collaborating on a pretty cool new build. 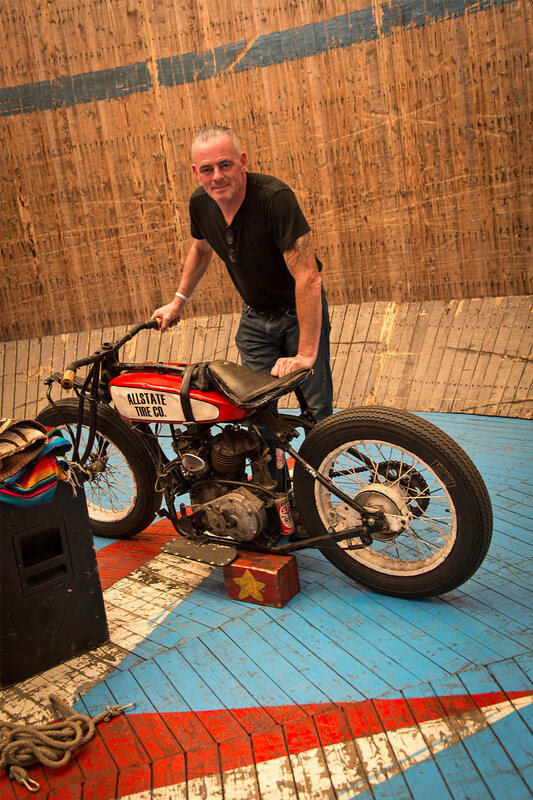 This time it’s a custom Vincent build with the son of a man who’s been called ‘a legendary American builder’. Can you tell us any more? It’s basically a hot rodded ’49 Rapide engine with some serious internals: a 1200cc, 5 speed setup that’s been stuffed into a Terry Prince frame. They want it to be a testament to this legend of Vincent performance fame. OK. I probably shouldn’t say this, but it’s for the late and legendary Vincent builder ‘Big Sid Bibberman’. They want to call it the “Big Sid Rodsmith Special,” which is quite flattering, to say the least! 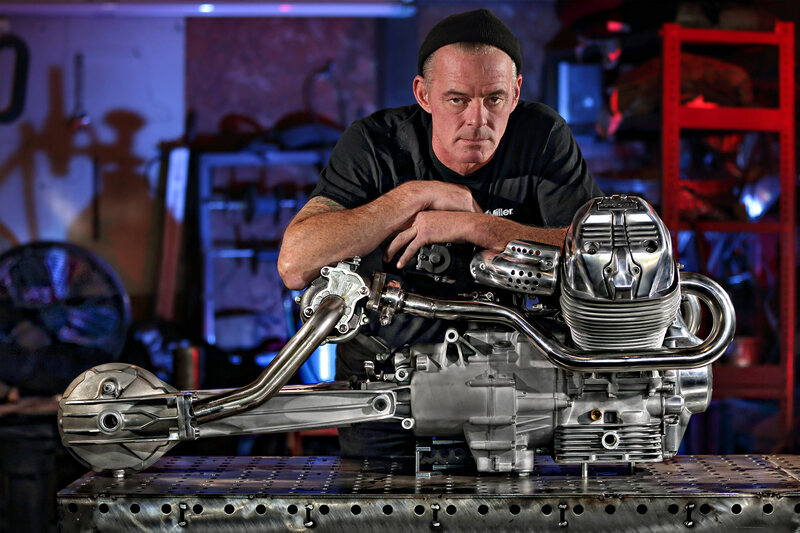 Personally I like the Aussie connection with Phil Irving – the Vincent‘s engine designer – Terry Prince and little old me. It’ll be a combination of old Vincent elegance and brute strength, with modern amenities such as suspension, brakes and a shitload of lovely Rizoma parts. I’ve already told Max Hazan I want to race him on his recent Harley knucklehead sportsbike. We hear you’ve been travelling? 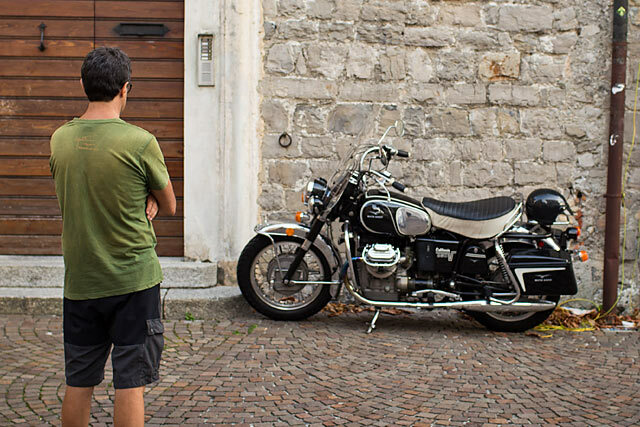 I went to Mandello to visit the Guzzi factory in late June and fell in love with the place. 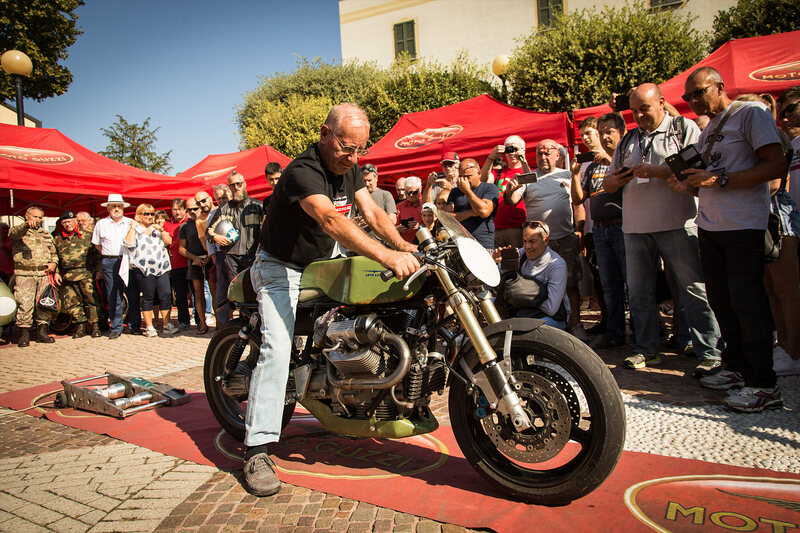 To my amazement, I have somewhat inspired the brand faithful in the region, probably because of my shared passion for Guzzi’s and my latest customs. 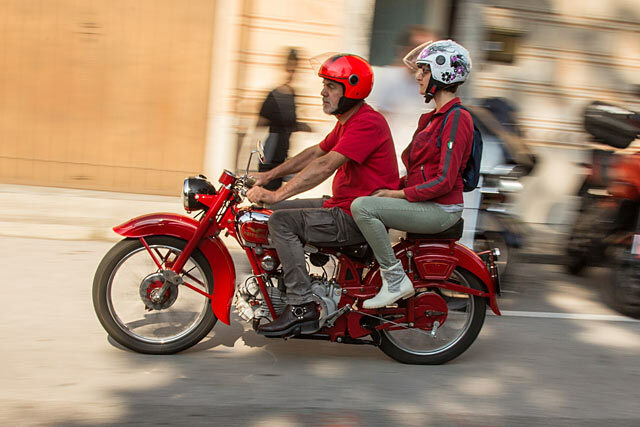 My friends, including Fil from Officine Rossopuro, Ariana Crippa who’s an amazing painter from Lake Design and Mandello Ricardo Fasoli who’s the mayor, suggested I come back for the famous Guzzi Open House celebrations in September, this year’s one being the 97th annual event. What is it with you and Guzzis? I’m not quite sure; it’s just something I think I inadvertently picked up on before I even went there and met the people of the area. 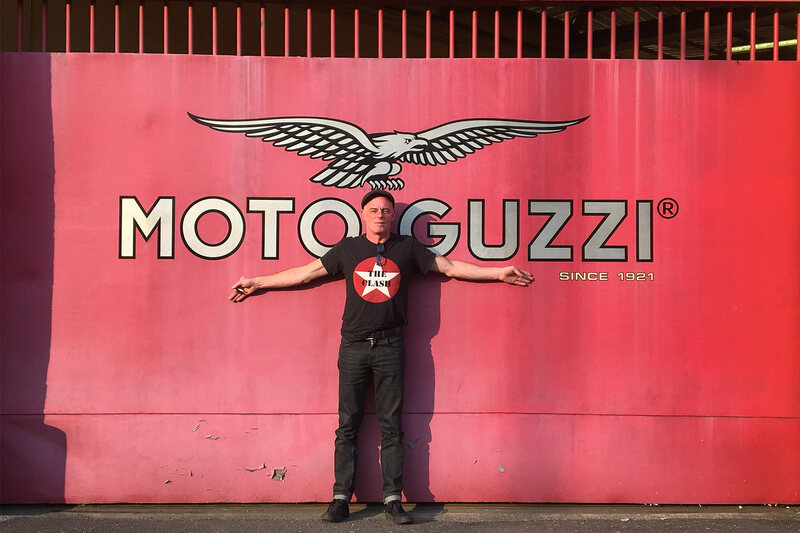 I mean everyone there has some sort of connection to Guzzi one way or another. It’s been like that for generations, so the passion is unmistakable. I don’t think I’ve ever met anyone that’s ridden a Guzzi and said they don’t like them. They’re kinda like the Creedence Clearwater Revival of motorcycles; everyone has a soft spot for them! Also, their racing heritage is undeniable and unmatched. 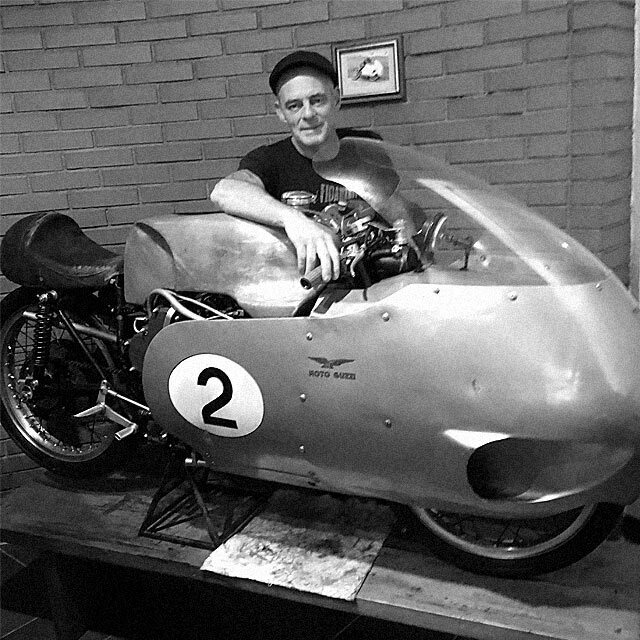 One of my favourite Guzzi sayings is, “Going out of business since 1921.” It makes me laugh, but it also points out their heritage as the world’s second oldest manufacturer. I think they’ll be around for a long time yet; the saying might seem a little mocking, but it just proves their resilience. I had every intention of traveling all around the place. For this trip the local dealership ‘Agostinis’, run by Alberto and Stefano took care of me with a new 1400 Eldorado. But I just couldn’t drag myself away from Mandello and the Lake Como area and the locals. Mandello de Lario is a town of about 10,000 people on the east side of the beautiful Lake Como with some jaw dropping vistas of the mountains and the lake. My daily ride along the lake just to get a coffee was bucket list stuff. 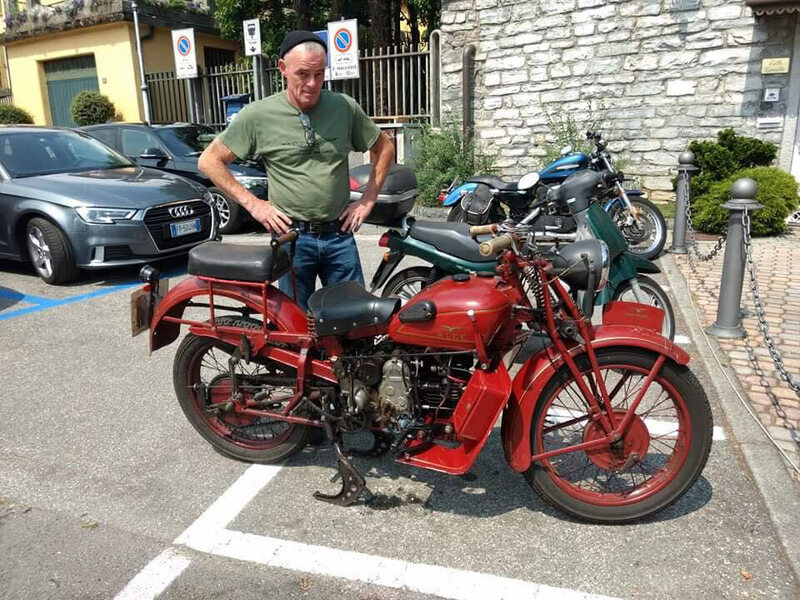 And everything and everyone in Mandello has some sort of story or relationship to Guzzi. What was the factory like? The factory is still on the original site and most of the original buildings are still there including the famed wind tunnel and test tracks, which are amazing things in themselves! Now most of the production is done in a newer building on the same site. Many of the people who work there have done so for years and often their families have too. You can tell they take definite pride in what they do. Do they have any of the V8 Guzzis there? Amongst an incredible collection of vintage bikes, race bikes and prototype engines is the ‘Holy V8’; it’s a complete bike and next to it is another complete V8 engine. I think I soiled my undies. Mayor Ricardo’s friend has an amazing private collection, including another V8 which he was rebuilding while I was there. To see a Guzzi V8 dismantled was quite the treat. 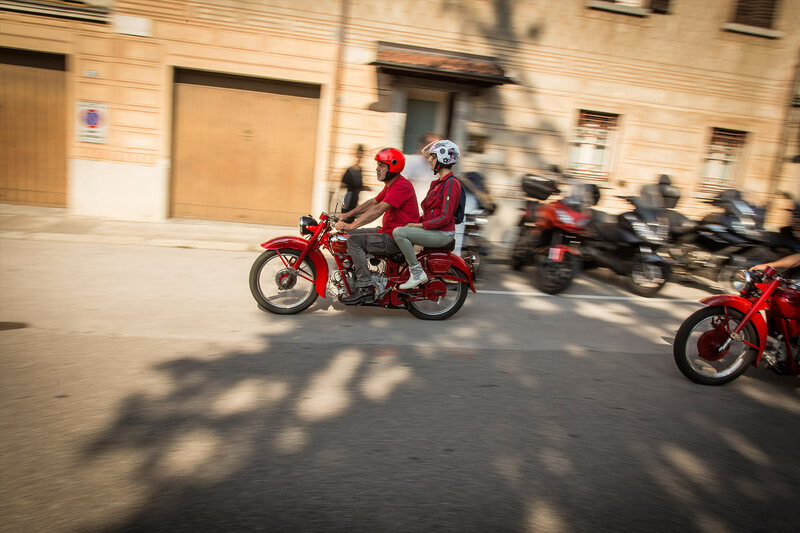 The cool thing that you see around the whole area is how many Guzzi’s of all ages and sizes are still ridden daily. 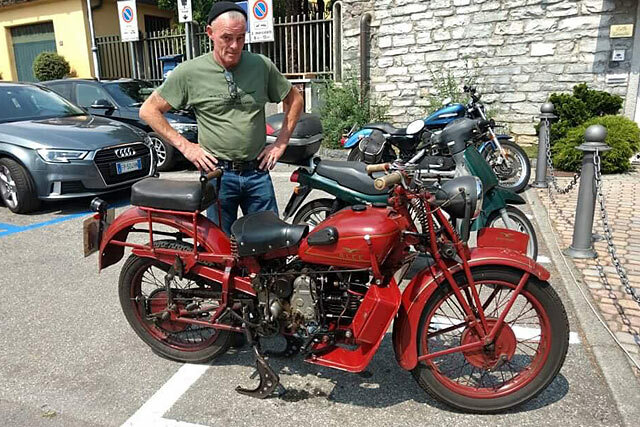 Like my friend Fabrizio; he still rides his late ’50s Guzzi 175 cc Galleto to work and it would be nothing to see an Alce or a Falcone go down the road or parked outside a cafe. 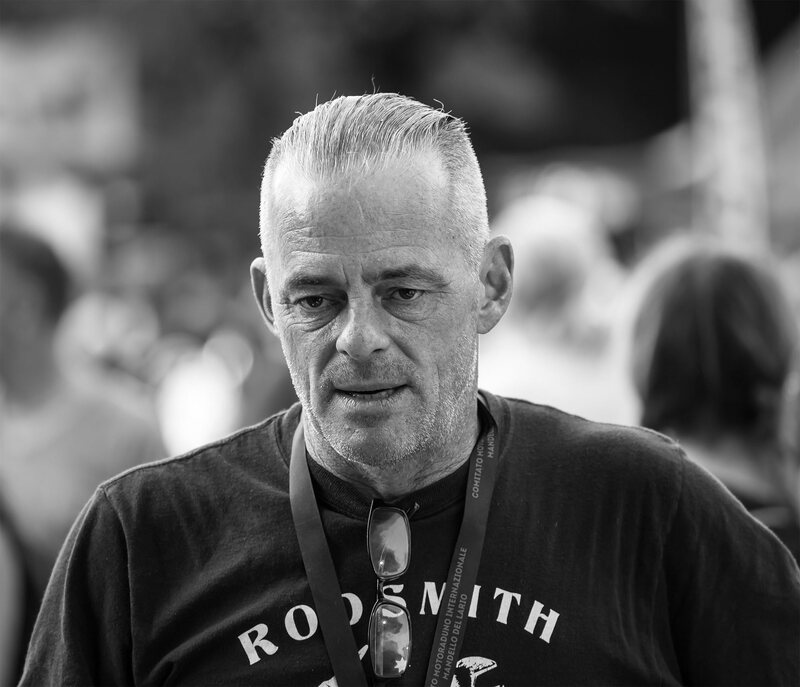 A manufacturer inviting a custom bike builder to their factory would have been unheard of 20 years ago. What’s changed? I think a lot has changed and in my opinion it’s for the better. Manufacturers once dictated what we got and what we’d ‘like’. 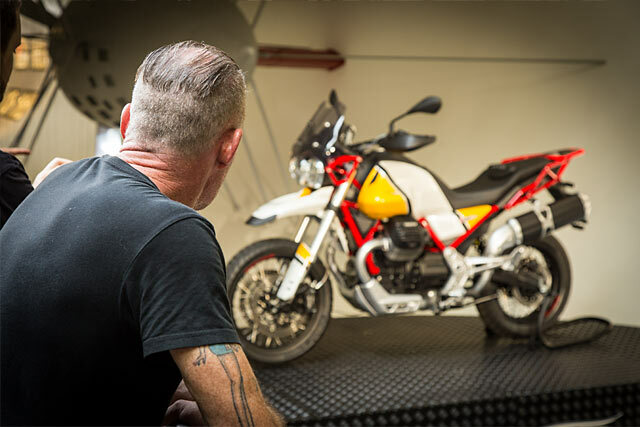 The motorcycle landscape has changed to one where the manufacturers are now listening to builders and customisers and they are being more adventurous, too. 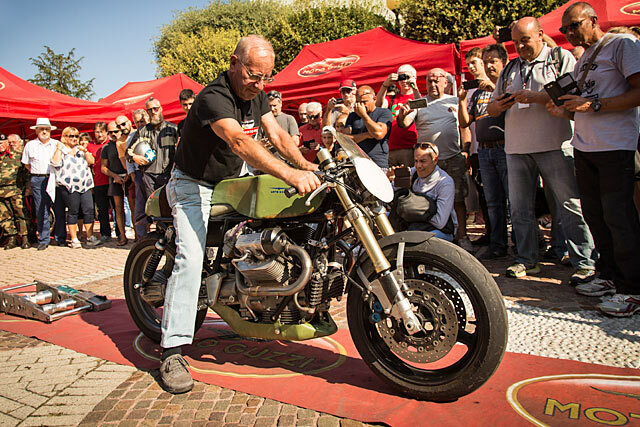 I know this first hand as I was fortunate enough to be part of the recent Moto Guzzi V9 build program. It doesn’t mean they’re going to follow exactly what I do, but they want people to see what can be done with their bikes. I’m hoping to do more with Guzzi soon. Manufacturers and customisers working together; isn’t that like a punk band working with a classical orchestra? Aren’t you guys meant to be on the opposite side of the same coin? I think they’ve just worked out where the coin is, and I’m pretty sure it’s not with some boring engineers’ idea of ‘cool’. Maybe it’s good the bean counters have worked this out. Now there’s plenty of cool options between a stock factory bike and a $30,000 custom bike. There never used to be. Is there a chance they will take over the custom scene? At the moment I doubt it. Things could change, but I think we live in a different era now with increased information and accessibility. As much as people want to dismiss social media as being superficial and wasting time, it’s giving riders many more choices as to what they want and what they like, I believe. 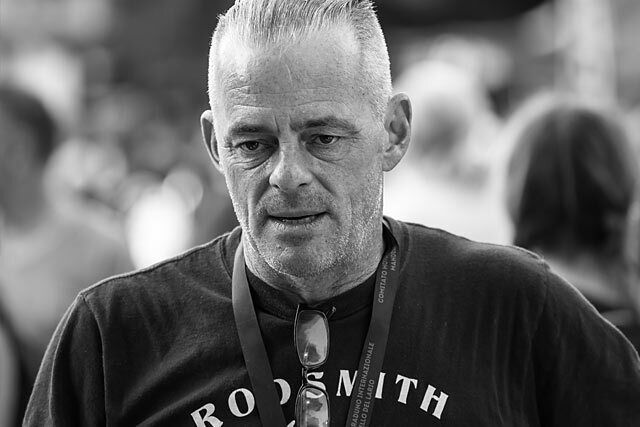 It’s no coincidence that cafe racers and social media went through a big increase in popularity at the same time. Anyway, as long as there’s bike manufacturers, there’s gonna be someone who thinks they can do it (or redo) it better – that’s human nature. 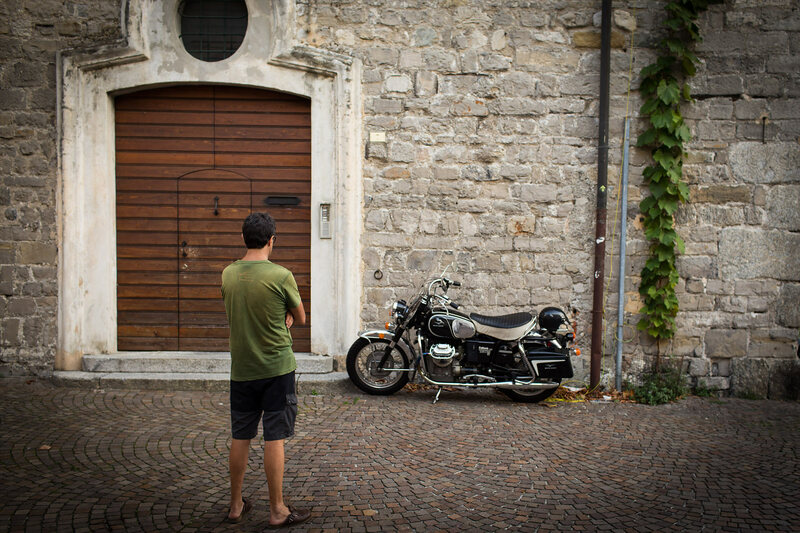 What’s your dream Guzzi project? How fast are you planning on going?